Has anyone used their NV devices in a C8? Reading about the 1.25" vs. 2" VB, HD vs. XLT, asking a few CN friends questions... a lot to digest. == AP is not relevant. == Do both devices (Mod3 and PVS-7) come to focus -- any issues? == Any accessories that are required? == For visual use with NV, is the HD better than the XLT? Edited by Mazerski, 18 February 2019 - 10:14 PM. NV devices do best with fast focal ratios. Most here using f/2 - f/6. Some variations of course. I’ve used mine with my f/12 mak so not impossible, but the best results are with fast optics. An 8” F/3.9 astrograph would yield much better results. How much can a C8 be reduced? Hyperstar of course out of the question because it doesn’t work for visual. Still not impossible with a C8 and reducer or even native F/10. 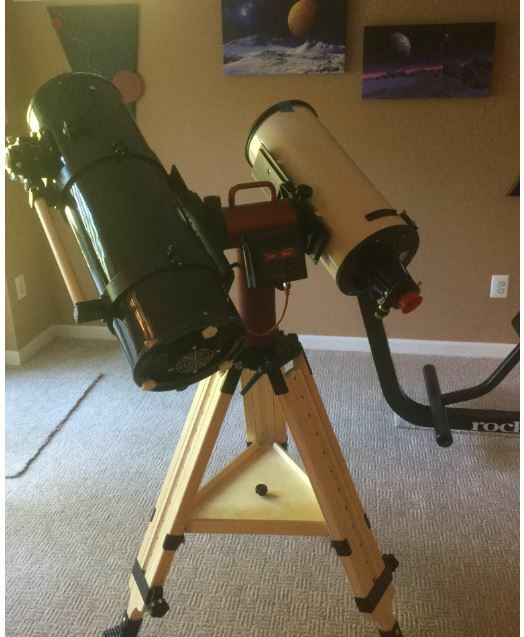 You might consider the Meade F/8 SCT’s also. You will definitely get better results using fast optics though. Vondragonnoggin makes the key point that nv works much better with fast focal ratios. I use a pvs-14 and the Tnvc adapter with a 55mm plossl afocally to increase the speed on my systems. Ideally I like to visually observe with f2 or faster - the difference in visual views between an f2 setup and f4 setup is substantial. The nv monoculars on their own are f1.2 and these give amazing super wide field visual views. 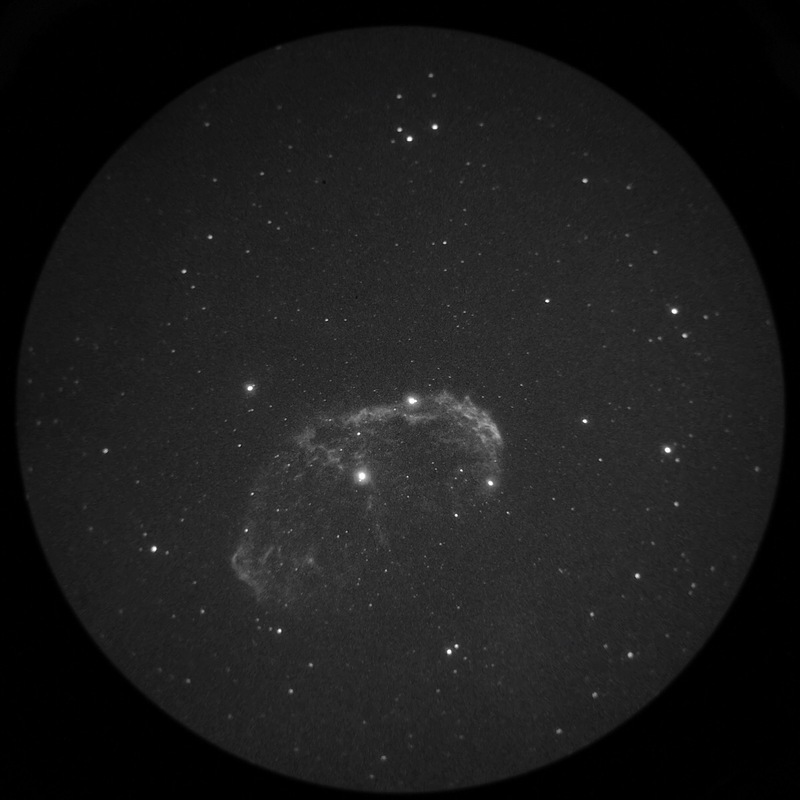 However, I’ve had good results using my c11 xlt with an Astro physics 0.75 photo visual reducer and 55mm plossl. This gives an overall speed of around f3.5 which I’ve been pleasantly surprised with. 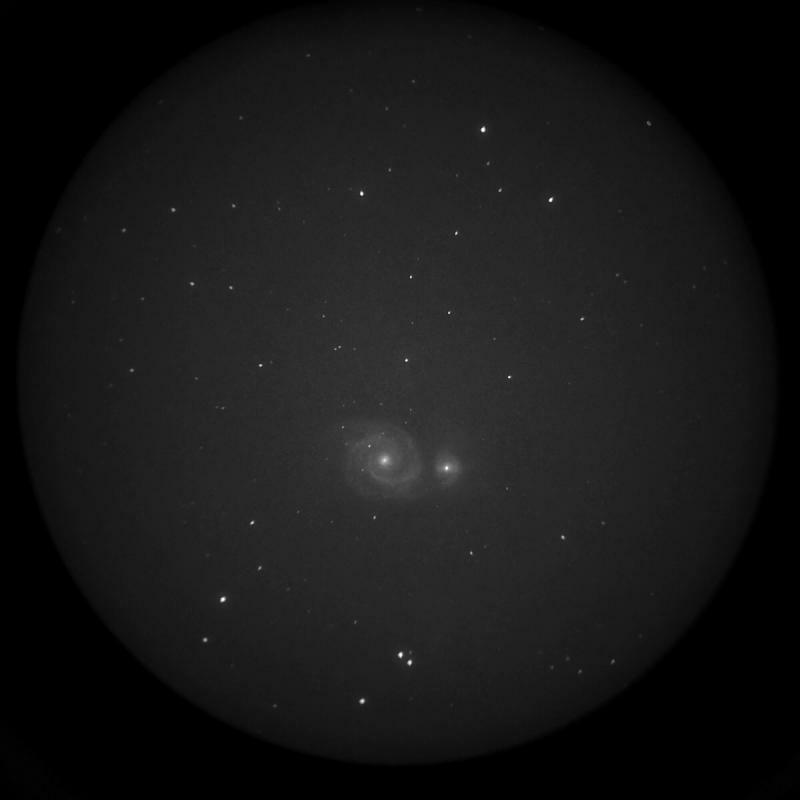 It is fast enough to give nice real time views and has decent image scale for galaxies in particular. And some of my favourite phone images through the nv eyepiece with the c11 which give a good approximation to the live visual views. "55mm plossl afocally to increase the speed on my systems"
why does above work ? what is the math behind that statement? Yes, I’m interested also in the formula. I have a Baader digiscoping adapter I’ve used with my Baader zoom, but never tried it with an eyepiece that was longer in fl than the NV device. Will try with my 42mm Superview or buy a 55mm plossl to try with my Mak. Might breath new life in my Baader adapter. I was thinking a scope of say f7 to f10 would add scale to globs, the brighter galaxies, PN, etc. Gavster - those are some wicked photos. Very nice. Using the 55mm plossl increases the amount of light going into the nv monocular (since the monocular can manage exit pupils of up to around 20mm I think). The focal length of the monocular is 26ish mm, so the maths is say for my c11 = 10*0.75/55*26= 3.5. The 55mm plossl reduces the f ratio by around a factor of 2 and thus is broadly equivalent to a 2x reducer without focus position changes etc. I don’t know about most here, but I’ve used f/4.7-f/7.5 telescopes, both with and without reducers for NV. I also tend to use 2x and 3x Barlows on smaller globular clusters, and on almost all planetary nebulae. It seems to me that the longer focal ratio of a SCT would be beneficial to such targets, or would the device suffer too much from light loss at f/10 or f/6.3 with a reducer/corrector? FWIW, I hav also been considering an 8” Edge HD or a C9.25 for that reason. I am also wondering whether my Antares .7x and .5x reducers would work as well in a SCT as they do in my 10” dob and past refractors. I think globs are ok at f7 or f10 but not galaxies imo. For Galaxies I still want the system as fast as possible despite having smaller image scale. So I’d probably just stick to the boren-Simon given it has the same aperture. If I want more image scale my preference is to change to a larger aperture scope and keep the f ratio fast, eg my 16 inch dob. Hence I generally stick with the same 55mm plossl and change scope depending on the size of the object I am observing. If you’ve already got the Boren-Simon then it’s not much of a gamble getting a C8 or C9.25 if you plan on using Gavster’s method there or even consider one of those F/8 Meade’s. At any rate Boren-Simon 8” + NV Device will get you amazing results in narrowband Ha. Galaxies unfiltered with the longer fl should be key. Filtering just gets more photon starvation to the intensifier. I sometimes use a 685nm longpass on galaxies too. Native F/12 in my mak even unfiltered is a bit noisier than the fast scopes, but still can bring the object above the noise floor. pvs-7 would be difficult to use afocally unless the TNVC adapter works on it like it does the pvs-14. Probably contact TNVC to see if they have experimented with it at all. Otherwise the pvs-14 is the choice for afocal with the TNVC adapter. Prime Focus with a pvs-14 is more difficult. Adapters to c-mount or T2 not readily available and the pvs-14 housing insets the intensifier quite a bit more than a mod 3 or NVD Micro and might have focus issues at Prime Focus in some scopes if you managed to find an adapter to put a nosepiece on it. Edited by Vondragonnoggin, 19 February 2019 - 07:33 AM. Globs and PN is where I found the Hyperion zoom in my digiscoping adapter did well. You can twist the zoom increasing mag while using afocally. In my 120ST it was the only way to get image scale better to see those objects. Might want to check out the mod 3 options also. Most using the c-mount envis lens but it might be possible to use a pvs-14 objective lens that has threads for the TNVC adapter. Another thing to verify with TNVC if you want to use afocally without something like a digiscoping adapter. Some people make their own afocal adapters too. Very true. For extended objects like nebula (NV's forte), yes all the speed you can get. However - in trying my Mod 3 in a Meade ETX90 (f/13.5 Mak) I found that star clusters are actually quite nice. Better views (by a wide margin) than I got with a 22 Panoptic. For point sources, and high surface brightness objects, a slower scope can be workable (although faster is still a brighter image overall). The fast focal ratio mantra works just fine for extended objects but I was happy to see Jeff point out that stars are different. At the risk of being redundant I would add that it is globular star clusters that really shine at f/10, f/15 and even f/20 with the current crop of intensifier tubes hand chosen for astronomy. PS Note important edit above! Edited by DMala, 19 February 2019 - 04:35 PM. Not my primary scope of course. More a case of "let's see if that works". I use NV in prime-focus mode with my C11 at native f/10 as well as reduced by 0.7x and 0.5x with cheapo reducers, and it's fine. SCTs are a lot more flexible with focus than newtonians. I've had some spectacular views of galaxies through it. Edge-on present better than face-on. Needle and Sombrero are very nice. Under dark skies where you have naturally higher contrast, looking at smaller PNs and emission nebula unfiltered can be a real treat. The Crescent and Veil were absolutely breathtaking with my C11 under Bortle 1. (I even barlowed 2x, and the detail was gorgeous.) The Eagle and Lagoon were also really nice. I've also done afocal with NV (generally the 41mm Panoptic) and the C11, and it works fine too. So, in general: speed is super important for NV, especially for fighting light pollution and for looking at the big wide H-alpha stuff. But 11" of aperture at f/10 can still show a lot of great stuff. Peter - thanks for writing... I saw a post from 2012 where Eddgie had a C8 HD so I asked him about it - he no longer has it and never tried NV with it. He suggested I contact you which I was actually getting ready to do. == Cheap reducers - like the Antares brand from ScopeStuff? I agree that for stars, where only long pass filters (if even that) are used, you can go pretty slow. I routinely Barlow up (2.1x) my 12" f/4.9 dob for Globulars and open clusters. For bright galaxies under darker skies where a filter is not necessary, you can also go to f/10 with no real problem. 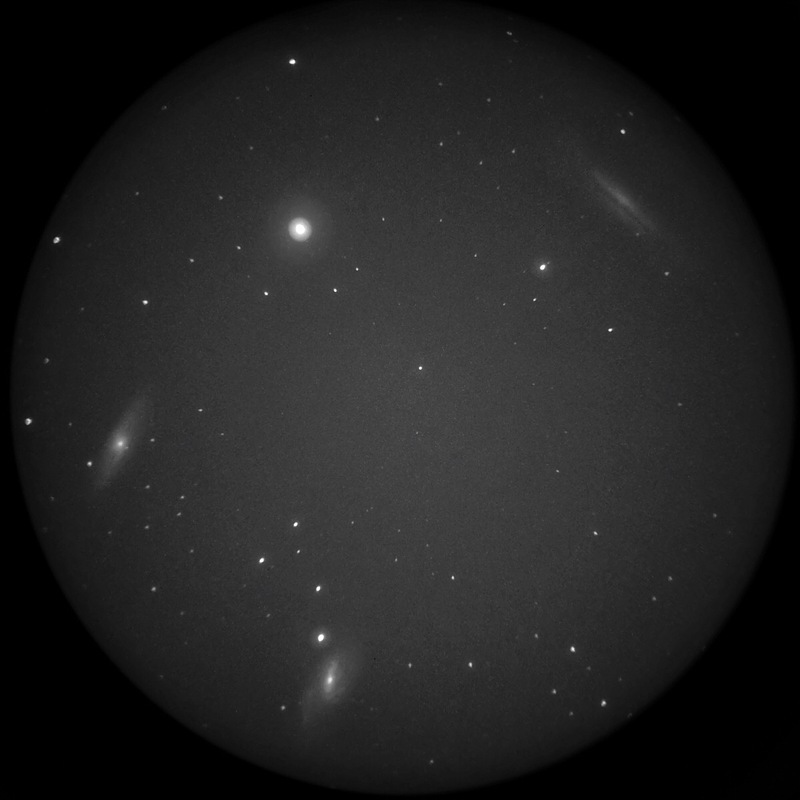 I remember seeing M82 in an EdgeHD 8" at a star party, and the view was very good even at prime focus. Where the speed is critical is for threshold objects (object that are only just above the EBI level of the tube) and when very narrow band filters are being used (and of course when both conditions occur at the same time, really fast is really better). Yes those cheap reducers: Antares, GSO and similar. Generally the 2" ones; 1.25" tends to vignette. If it ever clears up here, I'll be trying the cheap 6" f4 astrograph from High Point Sci. But I've been pretty pleased with my Mod 3 C & C9.25, both with and without .63 focal reducer. A narrow band Ha filter returns incredible views of the Orion nebula...a glowing center almost like a streetlight thru the fog, and a few almost-3D dust lanes. I did confirm that the astrograph and supplied 35 mm spacer comes to focus with the Mod 3, with a goodly bit of travel left over. That was just on someone's porch light about a mile away, due to clouds. I started getting nervous about another shower, so I didn't get to try it with the cheap .5 focal reducer that I have. The weather on the east coast hasn’t been great either. Good to hear for the Mod3 and 9.25. Thanks. Why would you want two 8" aperture scopes? You can reach nearly identical focal lengths/FoVs with your BS 8". C8 or Meade equivalent is f:10 at +/- 2032mm. Your BS 8" is f:2.8 at 568mm. Hauling a barlow around is a lot easier than setting up another scope that will basically do the same thing at exactly the same focal ratio. The 9.25" adds about 350mm of focal length over the C-8 for improved scale on small subjects like galaxies. But using a 3x barlow OR the 2x barlow ahead of the diagonal will allow your BS 8" to work at 2400mm at f:12. You do have options. Or, better yet, if your mount will accommodate the increased weight, the C-11 would give you even better performance for these tiny targets. Albeit, at increased size & weight. When Gavster reduces his C-11 for a brighter image, he is also reducing the effective focal length. His 11" aperture is always going to gather more light than your 8" BS, but you might be surprised what your 8" will actually reveal when used at the longer focal length. If the C-11 is too big and heavy, there is also the Meade 10" LX200-ACF f:10 at 2500mm, which is 26 lbs. Just a thought! Concerning your question: "For visual use with NV, is the HD better than the XLT?" I read a post by Don Pensack (... might have been in the AP forum) and he wondered why people who were not concerned with AP were buying HD's. You will find that the regular SCT .63x reducers are a LOT less expensive than the HD reducers, and the XLTs are mighty good scopes with a proven track record... and tons of AP has been done with them in spite of inherent curvature. There are always solutions if you decide to start taking pictures. Another option is one of the medium sized RC scopes in solid tubes which generally start at f:8. The advantage of the flat field and permanently mounted primary is significant, they don't employ a corrector plate so cool faster, and because they are made for AP, they will fully illuminate the NV sensor. You have options. There are always tradeoffs, but reaching your goal can be done in different ways. This link describes the TNVC adapter and its interface. Yes, it screws into the Envis objective and the other side tightens around the top of many TV eyepieces (once the rubber eye guard is removed).